Now people can take ration from any dealer in the state. This is a big benefit to many poor people across the state. This is very helpful to the people who migrate to different places for livelihood. Till now this is a big headache, but with this portability, this is a real benefit to the people, where they can take ration from any dealer across the state. To ensure transparency, when the ration is ready with dealer, an SMS goes to the beneficiary, with the available ration details like, "rice, sugar, daal and wheat flour are available with the dealer. Please go and collect". This would also save the time of the people, without going and standing in lines for hours. 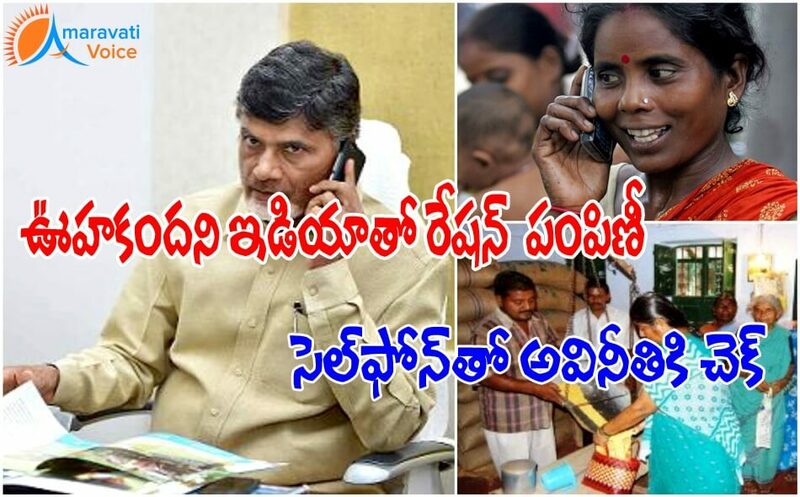 After the ration is taken from beneficiary from the dealer, immediately a voice call would come from Chief Minister to their cell phones, saying that "Thanks for taking the ration". This would also help the beneficiary, to know that if his allotted ration is taken by any other person. He can know it and question the dealer. The fair price shops are already given with (e-pos) devices and electronic weighing machines. The e-pos device has stored in it fingerprints of all family members of the ration card. There is also the e-PDS portal, where all information related to ration cards are placed and there’s an app for shop dealers, which is used by them to check information on details like stock allotted and received opening and closing balance. The vehicles used in the transportation are also tracked through GPS and GPRS tracking systems to bring transparency in this segment as well. Is it necessary to produce biometric for ration card when aadhar card is already present?